“To a great extent the future of British Railways depends on what the travelling public and industry think of us. 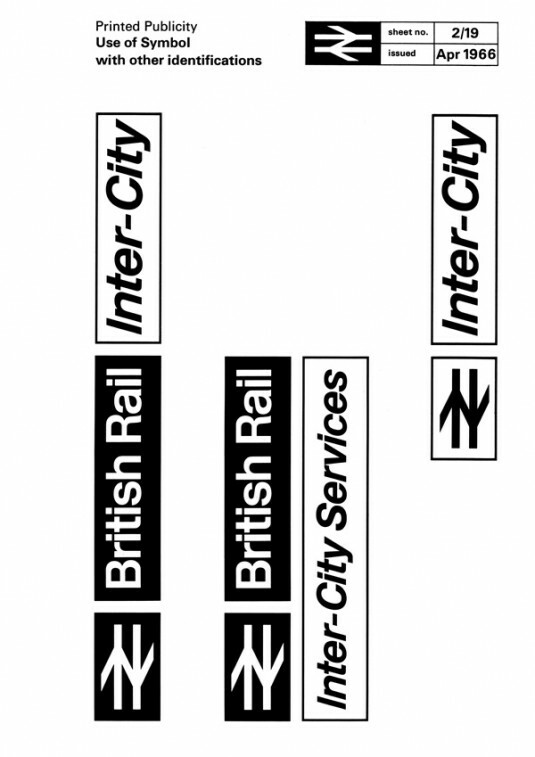 This public image is largely determined by what passengers and industrial users see of British Railways. Our aim, a truly modern railway shaped to existing and future needs, cannot be achieved overnight. It is being developed phase by phase as fast as possible. But, meanwhile, much remains of the system which is drab, inefficient and out of keeping with the times. The former BRB Chairman Richard Beeching was brought into British Railways in 1961 on a salary of £24,000 – an amount that was above the average for nationalised industries. Railtrack was set up on 1 April 1994 under the Railways Act 1993 to manage the rail infrastructure (track, stations, etc.). It was sold to the private sector on 20 May 1996. Beeching’s vision of a unified, efficient and viable railway system saw a third of Britain’s 7,000 railway stations close, along with 6,000 out of 18,000 existing route miles and 70,000 jobs. Modernisation and motorways were what mattered at the time; railways were considered old-fashioned, the stuff of the sooty fabric of Victorian Britain. In 2014, with a political onus on headline grabbing infrastructure projects, and a national rail network that has long since been left behind by developments in France, Germany, Japan, modernising Britain’s railways are apparently now what matter. 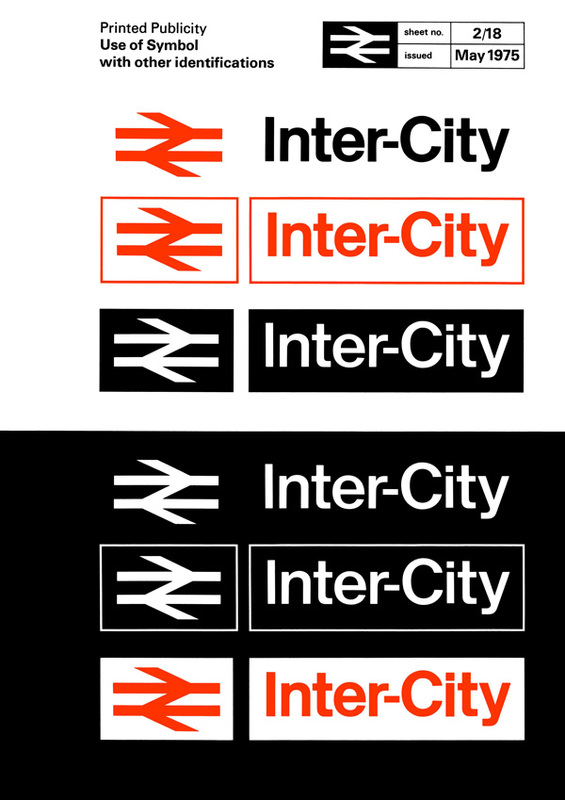 What better time to look back at the Intercity Identity series brand for the once innovative InterCity 125. 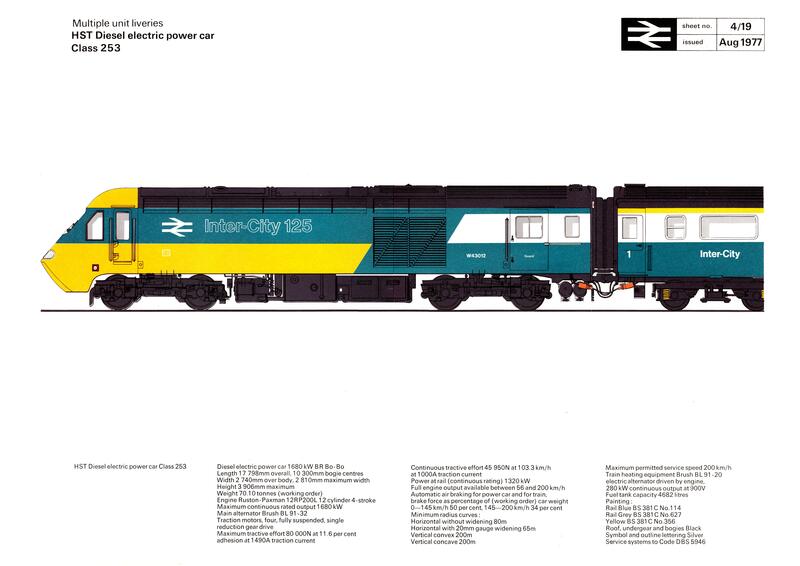 Introduced in 1976, The InterCity 125 was the marquee brand name of British Rail’s High Speed Train (HST) fleet; a launch that coincided with marketing strap-lines like “This is the age of the train” and “Let the train take the strain.” Remember those? Perhaps not. 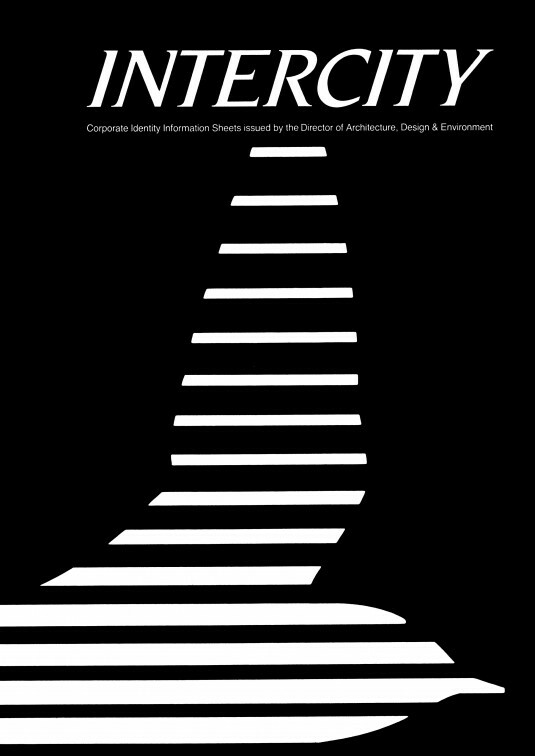 The main corporate identity graphic sheet wouldn’t look to out of place as 90s retro warehouse flyer. 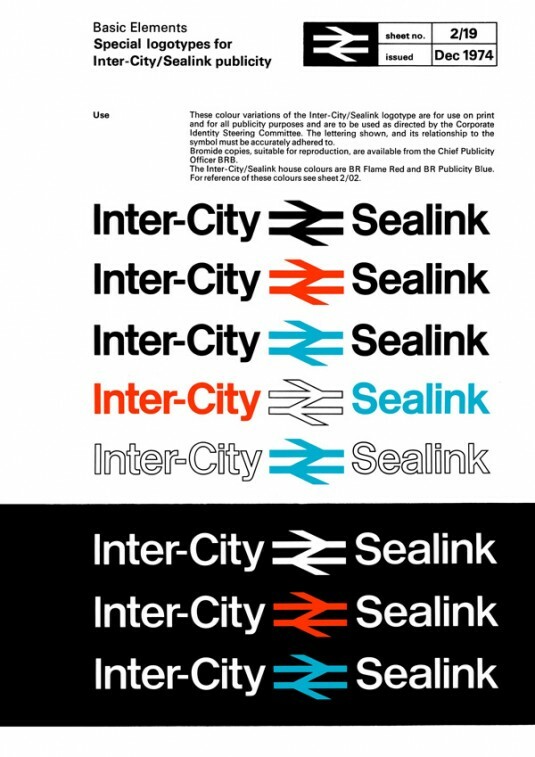 Even if the trains timetables were never as consistent as they could have been. Pt. 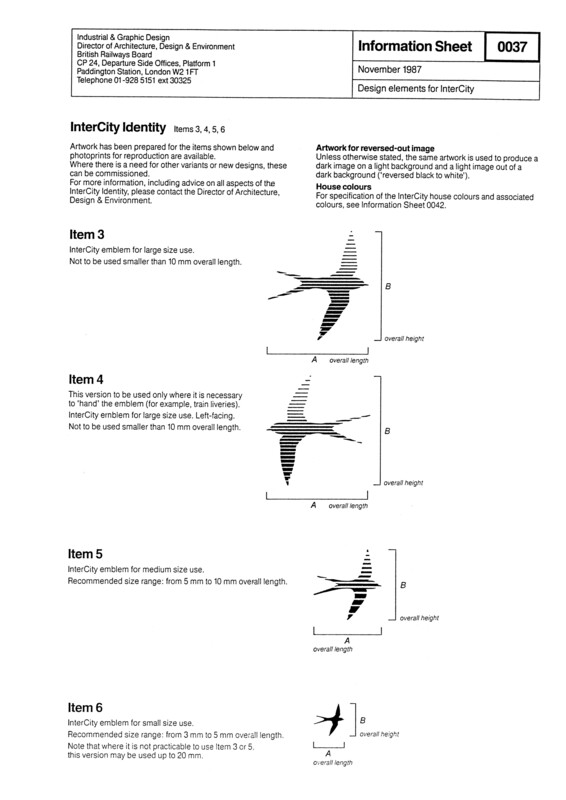 III of this Double Arrow series shows once again that brand consistency never was an issue.